Join us for the Wizard of Oz-themed 10th Annual Business Expo on April 26, 2019. This exciting event brings local product and service providers under one roof for the community to browse all the best of Garland. 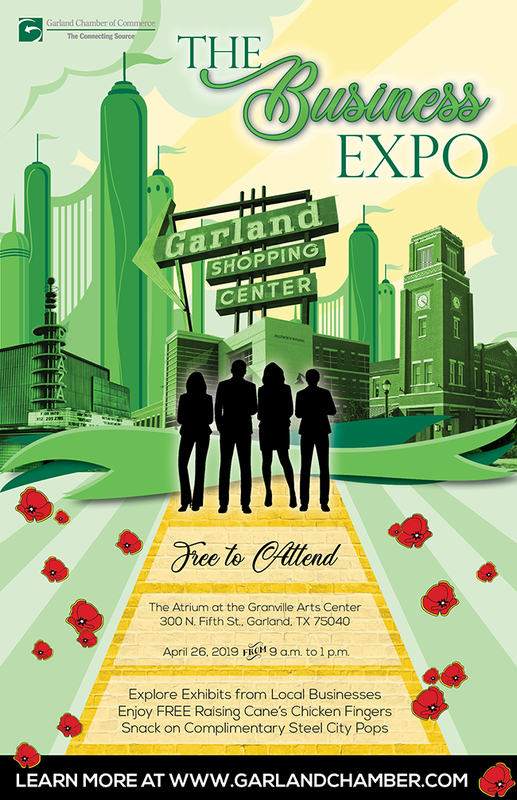 If you’re looking to do business with fellow local vendors, find services to better meet the needs of your business, or learn more about what the city of Garland has to offer, you’re sure to find a wealth of information and resources at the Garland Chamber’s 10th Annual Business Expo. Interested in participating as an exhibitor? Reserve your space today! Visit www.garlandchamber.com or contact Liza Ceniceros at liza.ceniceros@garlandchamber.com or (469) 326-7477 to learn more.